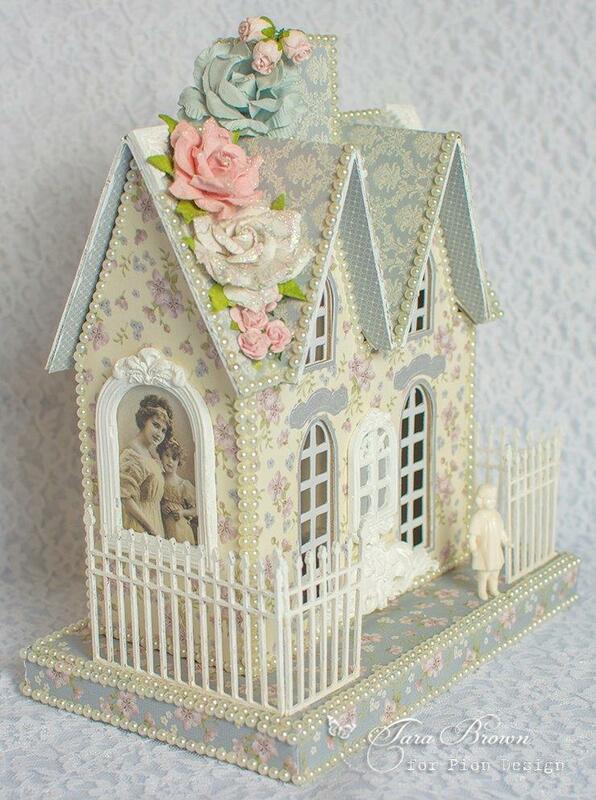 Blue papers from Days Gone By and Our Furry Friends were used to cover this little chipboard house. I also used one of the gorgeous photos from From Grandma’s Attic to frame a mother and daughter looking out the window. What stunning papers these are! May you enjoy crafting with these beautiful new papers as much as I am!